Thanks to the 4 "display of the iPhone 5, but more elongated as wide as previous models of Apple's smartphone, seen as adding an extra row of icons on the Springboard. 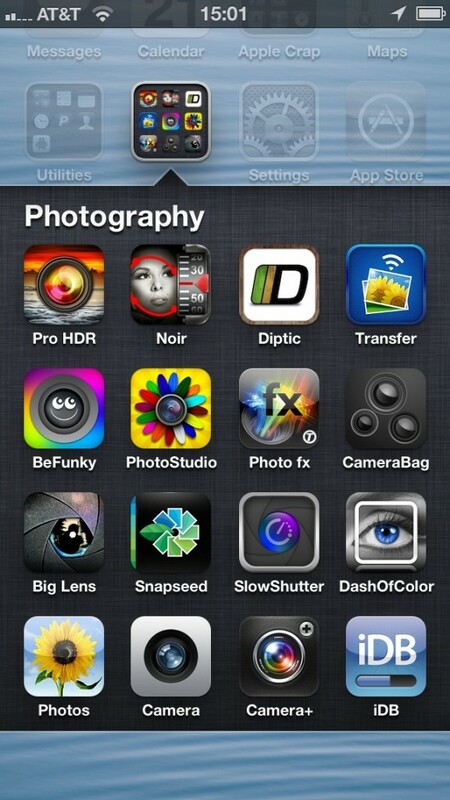 The option to create folders are included in iOS 4, where, until the departure of the iPhone 5, we could only hold them a total of 12 apps (on the iPhone and iPod Touch). 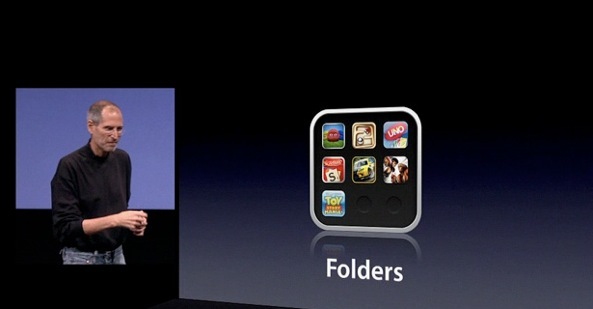 Scott Forstall Although not mentioned in the presentation of iOS 6, now the iPhones 5 with this version of iOS will, thanks to its larger screen size, hold up to 16 apps. In this way, we will be able to have many more uses occupying fewer pages in our Springboard.